"Gerber G7 cutter combines accuracy and efficiency with reliability "
High-ply cutter with unsurpassed accuracy. Produce perfectly cut parts every time. • Cut up to 7.2 cm of compressed material using an intelligent vacuum system that automatically adjusts vacuum levels as the job is cut, leading to a 20% energy savings versus previous models. 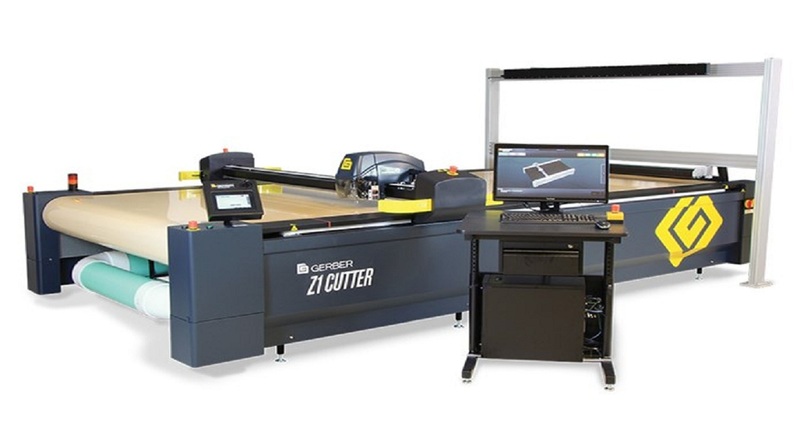 • Gerber fabric cutter Intelligence feature senses deflection of the knife caused by cutting difficult materials or high-ply spreads and changes the knife angle to compensate for this deflection, keeping the cut part true to the CAD pattern, all in real time. • Included resealer helps restore vacuum integrity by providing automatic resealing behind the cutting head, ensuring cut part quality and improving energy consumption. • Optional Vortex Knife Chiller keeps the blade clean and cool while preventing cutting defects and fusing. Bring new levels of efficiency to your production. 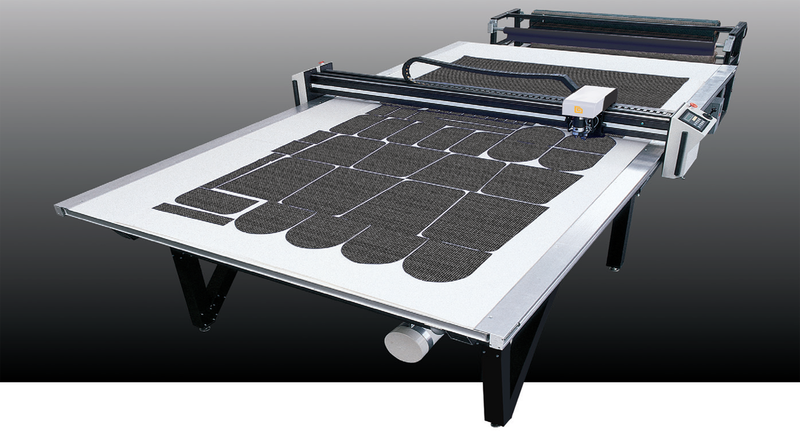 • The 2.0-meter-wide automated fabric cutting machine conveyorized cutting platform delivers accurately cut parts with up to 20% more throughput than the competition in most applications. • Integrated automated drill produces holes up to 12.7 mm in diameter through most fabrics. • Process jobs with incredible ease using the integrated touch-screen control panel and CutWorks® software which minimizes operator training and reduces errors. • Automatic SMARTbite™ calculator analyzes each marker to determine the maximum number of pieces to be cut with a minimum number of material advances to maximize cutter throughput. • Operating volume of under 70 dB comfortably integrates into most production environments. • Emergency stop buttons and beam paddles help keep operators safe in all areas around the machine. • Transfer CAD files to the cutter easily by enabling network compatibility. • Software available in both English and Chinese. Intuitive graphical touchscreen simplifies operator training and reduces errors. Gerber Service is around the corner and around the world to help ensure your Gerber systems are always operating at peak performance levels. Our global network of highly-skilled technical support professionals and field service engineers are committed to helping you maximize your profitability. Gerber staffs multiple customer solutions centers around the world to assist you 24 hours a day, seven days a week so help is never further than a phone call away. To remain in optimum working condition, your Gerber system requires quality parts. When you purchase replacement parts and consumables directly from Gerber, you can be sure they are manufactured to exact Gerber specifications. Genuine Gerber parts are designed specifically for Gerber equipment and supported by Gerber Service professionals. And with Gerber’s Parts Online system, you can place orders at any time of day and track your order in real time. 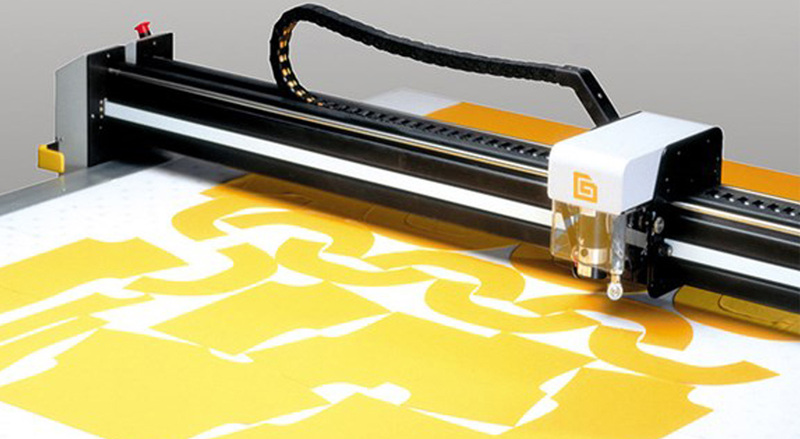 Gerber Technology offers a complete range of innovative hardware and software solutions for fashion & apparel, furniture, and technical textiles industries, including our standard setting AccuMark® pattern design, grading, marker making and production planning software; XLs and iTable spreading solutions and MP Series plotters.